Deal of the Day: Suzuki Swift Sport | What Car? 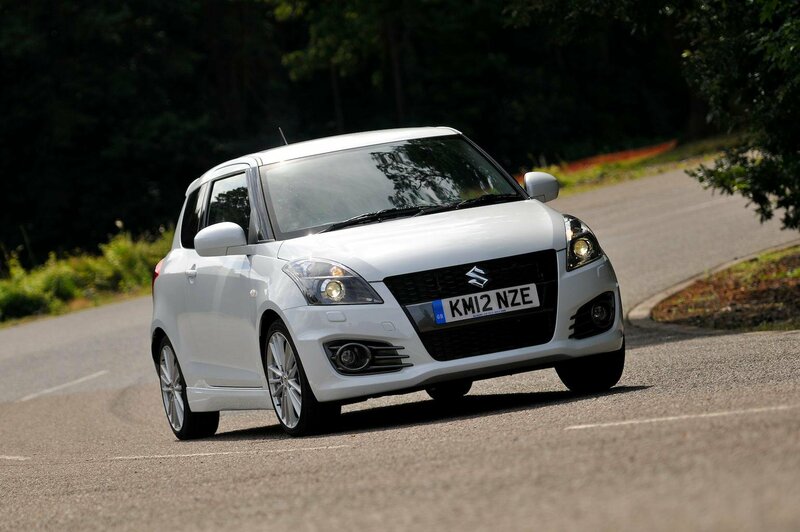 The Suzuki Swift recently featured in our ‘Best and worst: hot hatchbacks’ feature. Although it can’t measure up to the might of the Ford Fiesta ST, the Swift Sport is a worthy contender in the small hot hatch market. The Swift Sport comes with a naturally-aspirated 1.6-litre engine that produces 134bhp and offers claimed fuel economy of 44.0mpg. As a cheap and cheerful alternative to the more expensive and more powerful hot hatches on the market, it holds its own, and is made even cheaper and all the more cheerful by the £1244 saving offered. The Swift Sport offers decent kit for the budget hot hatch price, with 17in alloys and metallic paint as standard and very few optional extras available. It’s frugal, too, with CO2 emissions and fuel economy on a par with rivals. This decent level of equipment extends to safety and security equipment. There are seven airbags, including a driver’s knee-level airbag, as well as stability control, an immobiliser and deadlocks all as standard. The Swift’s true strength is its handling. While its pace may not be as punchy as that of the Ford Fiesta ST or Vauxhall Corsa VXR, few others in its class and none in its price bracket offer the same dynamic drive and fun handling. Unfortunately at this price, something’s got to give. That something is the quality of the interior materials, which feel cheap and offer little visual appeal. However, the extra saving on top of the already low price can at least provide some tonic to this. In addition to the poor interior materials, the Swift offers less than brilliant practicality. Leg room in the rear is cramped compared to rivals and the bootspace is stingy; even with the seats folded down there’s an awkward step in the load area. There are very few options to be added to the Swift Sport, and the few there are would erase the budget appeal of the car, so avoid the bodywork upgrades and Pioneer infotainment. The more attractive silver finish doorsills and centre console options (£90.40 and £75.97 respectively) spruce up the interior a little, but we’d advise against it if you don’t absolutely have to have them. You’ll find the deal at autoebid.com, just select Suzuki, then ‘New Suzuki Swift Deals’, and go to the 1.6 Sport [Nav] spec.